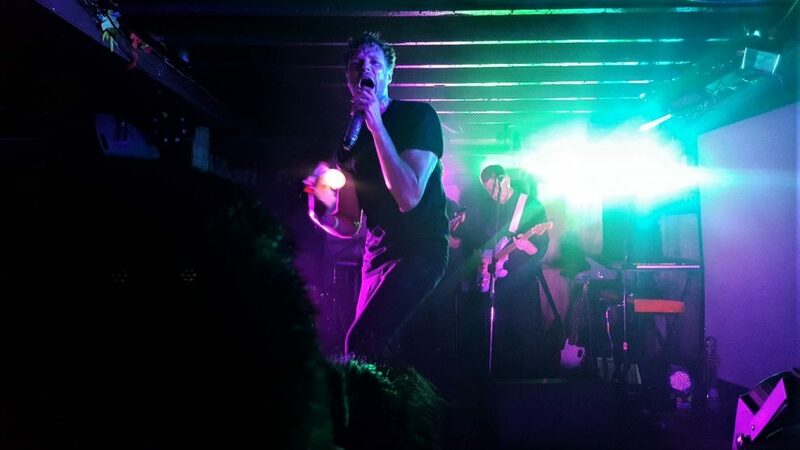 Rich Aucoin has come a long way from his early days of singing along to a projection of Dr. Seuss’s How the Grinch Stole Christmas in the HMCS King’s Wardroom. The Halifax singer-songwriter started making music during his time at the University of King’s College, where he studied contemporary studies and philosophy. Now 35, Aucoin has produced two albums and three EPs since 2007, a year after graduation. 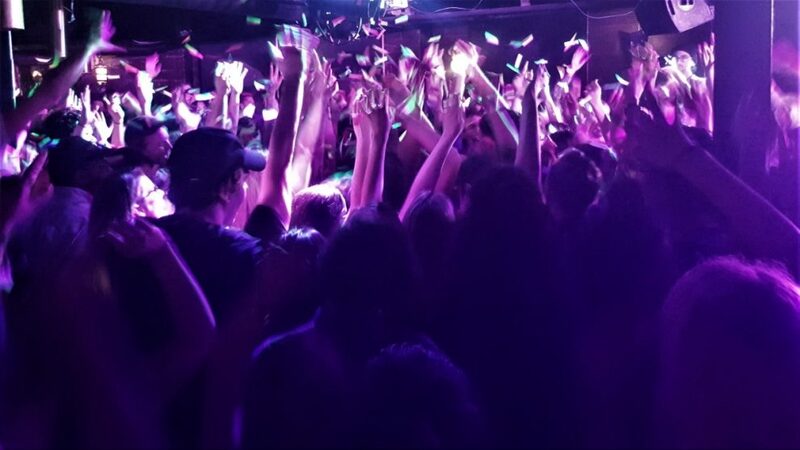 Aucoin’s concerts have evolved into full blown dance parties complete with confetti cannons and a rainbow parachute. Following what has been a whirlwind year, Friday marked the release of his latest EP, Hold. The launch party was held Thursday night at the Seahorse Tavern in Halifax. His next move? A coast-to-coast tour of the United States on his bike. On Sunday, he heads to California to begin his self-propelled Press On Tour in Los Angeles on March 26. He expects to wind it up in Philadelphia two months later on June 26. Proceeds from his shows will go to Mental Health America and the Canadian Mental Health Association. The Signal spoke to Aucoin on Wednesday before the launch party. What was the main source of inspiration for Hold? With these four songs, a lot of the music has been largely influenced by my study of philosophy and time at King’s. I look at each song as a little FYP (Foundation Year Programme) paper that kind of looks at a certain topic and looks at it in a couple different ways to get different perspectives. So, who’s your favourite philosopher? I really like the all-encompassing quality of Plato, and just how because of his place in history, how so many other philosophers I like after his time, everyone quotes back to Plato. All philosophy is but footnotes of Plato or something like that. Also I like a lot of the existentialists like Nietzsche and Camus. You’ve done bike tours in the past. What is it that attracts you to bicycling? I never got to do the cool tour-bus thing. I much prefer the immersed in the elements style of biking and really just going on a journey and seeing so much more than even in a car. Kind of generally in a car there are many other people and there is this time crunch to get things done as fast and as laboriously as possible. So while there is the physically taxing aspect of it like cycling for 10 hours a day it’s a lot more therapeutic. You feel better at the end of it instead of a 15-hour drive. What stops are you looking forward to the most? I’m looking forward to going to Memphis for the first time, and Knoxville. Maybe also in part because of that sweet Simpsons episode where they go to Knoxville over Disneyland so maybe I’ll find some wigs and take a photo. I think biking across the desert is going to be pretty cool. I’m also really looking forward to playing a tiki lounge in Albuquerque and hoping to see a lot of the sights from Breaking Bad. You’ve been performing for over a decade. How has your live show changed over the years? When I first started, like the first couple Wardroom shows were me sitting down and everyone watching was seated. At a certain point I was saying yes to any show that I could play and just started playing DJ nights and stuff that friends were hosting. 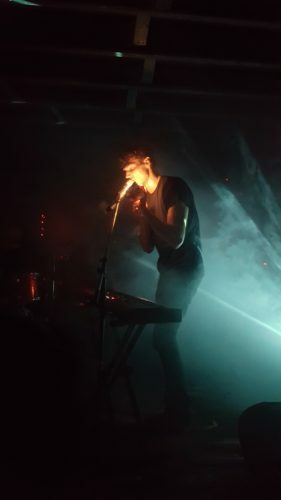 In those situations sitting in front of an old cartoon just didn’t really fly so I had to become more of a front person and when I got out front and was singing and getting people to sing along it kind of peaked my interest in making a more collaborative show instead of an introspective one. What’s your favourite part about performing? I think the energy that’s created is my favourite part about performing. The kind of release of a bunch of people shouting something together and dancing, those moments feel really nice. Your laptop was stolen in Costa Rica in 2017. How much did that change the direction of the EP? I just built back the stuff that I could remember and had to accept the things that were lost and just let that go. I was forced to make new songs and pursue new ideas. I only came back with a stronger conviction of how it should be. The main thing it did was change the pace, things were kind of more relaxed and when that happened it was like, let’s triple our efforts. All of a sudden I was going from recovering what I’d lost in late January of 2017 to finishing the record at the end of May. It was a pretty intense spring of recording with like 70 different people. I’m also talking about the LP that’s coming out in the fall that these songs are a part of. I would hopefully be involved in the film industry in some way. I’m very curious about it and have done some scoring for friends and have had some of my music in movies. I’d definitely want to continue with that. Hopefully that will kind of be my end game as the old knees don’t want to be in the middle of a bunch of people jumping around in a bar.